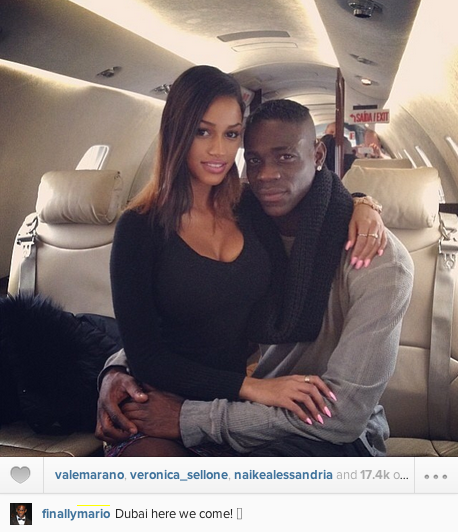 Mario Balotelli flies with girlfriend Fanny Neguesha on a private jet to Dubai. Super Mario posted the above picture on instagram yesterday. Cute lovebirds right? In anything you do, you just gotta make money... Balotelli's girlfriend is too hot! Damn. Her waist in this picture is just WOW!